John’s Note: To be a more-consistent hunter, you must know everything you can about the animals you hunt, and the other people who are trying to take those same deer. However, during the short span of time that deer season encompasses when the hunter can gather this information, his interest generally is distracted by his desire to take a buck. To gain this knowledge, the very best time of the year to scout is immediately after the season is over. The only disadvantage you’ll have is you won’t be able to harvest the animal after you’ve gained the knowledge required to find him. But what you’ve learned in the post-season will become extremely valuable in all the seasons to come. In my opinion, the single-most-important ingredient to a deer hunter’s continued success is this wealth of knowledge he amasses about the sport in which he participates. One of the best ways to gain that knowledge is by scouting after the season for deer. 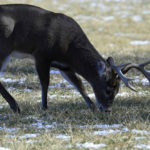 A very-important factor to be consistently successful in taking deer is understanding deer behavior. However, very few hunters take the time to study the animals they plan to harvest. 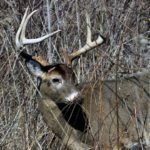 Yet this one factor will teach you more about deer and deer hunting than any other hunting technique. During hunting season, the deer changes his normal feeding and moving patterns in response to hunting pressure. 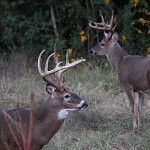 Oftentimes if hunting season coincides with the rut, the buck’s behavior is altered even more. Therefore the hunter gets a distorted picture of what the animal’s behavior really is like, because the buck is constantly dodging danger. However, after the season when the hunting pressure is removed, a sportsman can go to a green field with a quality pair of binoculars or a spotting scope and study the deer’s behavior. 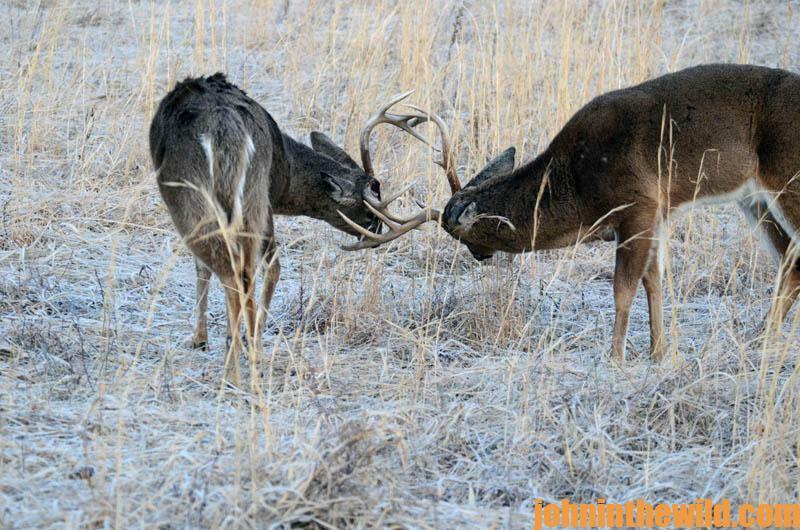 If deer season ends before the rut is over, an outdoorsman may be able to see a sparring match between two bucks. By carefully observing what deer do when they spar, the hunter better can learn how to use rattling antlers and grunt calls. Watch how the deer use their feet. Take note of the way the antlers clash together. Listen to see if the animals grunt when they push each other back and forth. Once you’ve made these observations first-hand, you more effectively can utilize hunting aids to call in bucks. Also study the does. Observe what the buck does when the doe is alerted to danger. Try and determine how the does alert the buck to danger. Watch the direction that the does come into a field and leave a field. Study the behavior of the younger bucks, and take good notes. 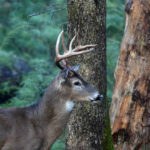 Much of the information being disseminated in the pages of outdoor magazines, TV shows and outdoor websites about deer comes from first-hand observation. Most of the new knowledge about deer and deer hunting comes from sportsmen who have spent hours studying deer. 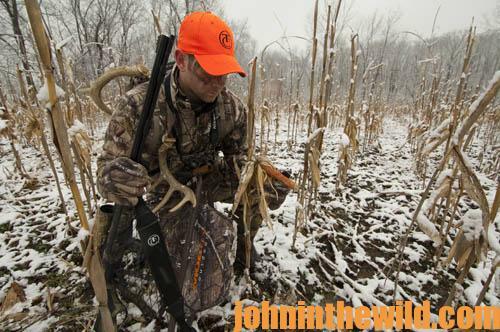 The very-best deer hunters are the men and women who have the most knowledge about the animals they try and take. Therefore, if you want to improve your skills as a deer hunter, there’s no substitute for studying the animals. There are two interrelating factors that enable a sportsman to accurately predict where and when a buck will show up. The first factor is knowing where a deer wants to go, why he wants to go there, and what he plans to do when he gets there. The second factor is just as important – knowing where the other hunters want to go, why they want to go there, how long they plan to stay, and what they’re doing when they get there. The hunter factor always will interrupt or change deer movement patterns. So, learn where other people are hunting, and avoid the sites with high hunter pressure. Then you greatly increase your odds of bagging a buck on any day you hunt. Many sportsmen will wait until 2 or 3 days to as much as 3 weeks after hunting season ends to take down their tree stands. If you scout immediately after the season and learn where these tree stands are, then you’ll have a good idea of where outdoorsmen are hunting on the property you hunt. Deer hunters, like deer, are creatures of habit. Often they return to the same stand sites year after year. Once you’ve learned where the other hunters’ stand sites are, then you have as much information as the trophy buck does that’s avoided these hunters all season. Good hunters are sneaky and will do everything they can to disguise their stand sites. 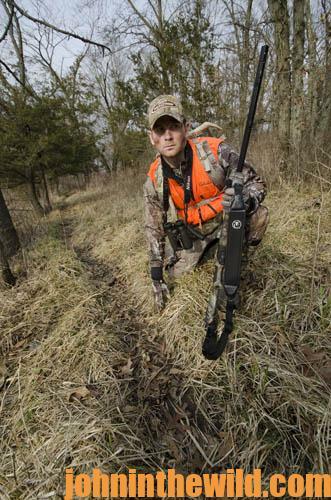 Many will use screw-in or strap-on steps, so they don’t have to leave their tree stands up. But these steps will leave some markings on the trees indicating they’ve been there. Careful hunters may use fluorescent paint or fluorescent tacks in the woods to show the way in and out from their tree stands in the dark. If you go into the woods either before daylight or at nighttime with a flashlight, if shining a light at night is not against the law in your state, you may be able to find their paths and learn where they’re hunting. 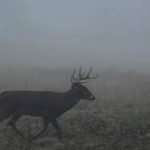 The very-best deer hunters have learned how to scout people just like they do deer and how to think like a deer thinks. The smarter, older bucks know how to dodge human odor and hunter sightings. Since they’ve learned where in the woods people hunt, they avoid these areas during daylight hours. All of these tactics enable you to shrink the area you have to hunt by eliminating regions of high hunting pressure as well as increase the time you have to spend to hunt in areas that should be the most productive. You’ll learn more deer-hunting information and tips from hunters in John E. Phillips’ Kindle, CreateSpace and Audible books by going to http://johninthewild.com/books/#deer to purchase and download to your Kindle, and/or download a Kindle app for your iPad, SmartPhone or computer. You also can go to Nook Books at www.barnesandnoble.com to buy. Too, you can download free books by going to http://johninthewild.com/free-books.